“I want to make people cry even when they don’t understand my words,” once said the French musical icon Edith Piaf. And years later, a group took that up as a challenge. The appeal of her music and her career — from dreary street to gilded stage — is magnificent, explains Gil Marsalla, the director and producer of ‘Piaf! Le Spectacle’, which runs at the Dubai Opera from February 14-15. His play, created and tweaked since 2015, is entirely in French. “We want to perform in French, because we are French and Edith Piaf was French, and the French accent is very specific,” says Marsalla, adding, “Sometimes they [the audience] can’t understand when the show begins because of the lyrics, but the emotion and the love and the lyrics of Edith Piaf and also the direction and the video [of the] show that we made, they are so powerful that people said they understand everything,” he says. It’s a mournful dive into darkness followed by the glaze of warm sunshine that unites the crowd when listening to favourites such as ‘La Vie En Rose’, ‘Non je ne regrette rie’n and ‘Milord’ (all of which feature in this production). Plus, there’s a practical issue with translations. “The lyrics of Edit Piaf’s songs [were] written in 1950s-60s; so, the French of the period is different from the French now, so it doesn’t make since to translate actually,” he laughs. 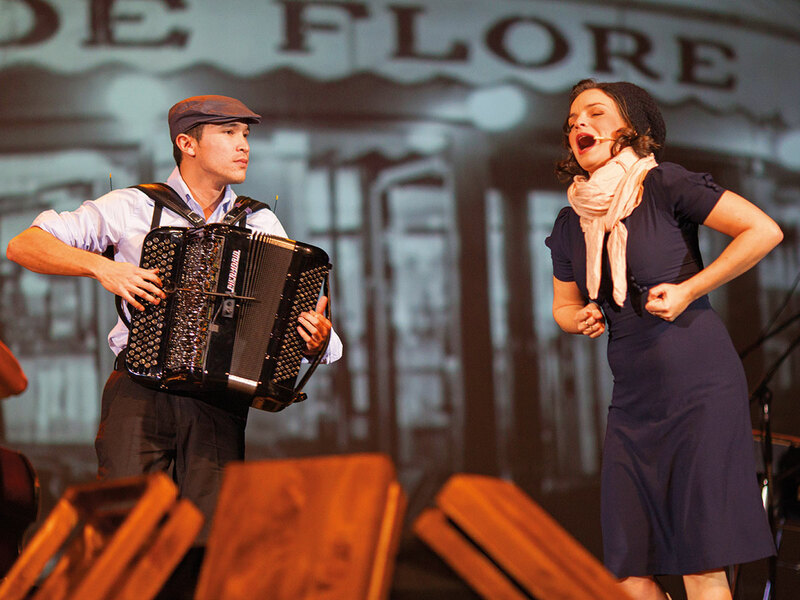 The show weaves in to and ducks out of the cobbled streets of Montmartre, France, through the lanes Piaf took on the way to professional singing. 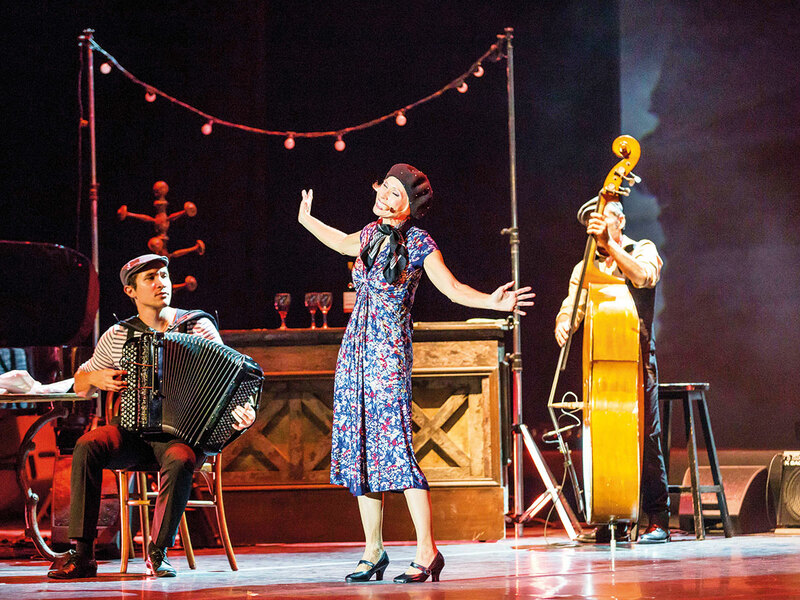 “There are two parts: the first act takes place in Montmartre in Paris — Edith Piaf is singing in the street with friends, before she was really famous. And the second act there is a performance of the greatest songs of Edith Piaf,” explains Marsalla. It’s the before the fame and fortune that Anne Carrere, who plays Piaf in half the performances, is most fond of. “It’s the life of Edit Piaf on the streets and I have most comedy and most acting in it,” she says. Nathalie Lhermitte, who plays the grand singer in the other productions, has a tougher time choosing a favourite bit. [To be fair, she has many Piaf moments to choose from; she’s played the character in other productions including ‘Piaf, Je t’aime’, ‘Une Vie en Rose et Noir, a musical revue’ and ‘Piaf, Ombres et Lumières’.] This project came with a roll of the dice. ‘Piaf! Le Spectacle’ has been on the run from 2015 with Carrere at the helm, but when she got pregnant last year, the show needed some practical tune-ups. Marsalla, who had heard about Lhermitte’s musical qualities, got in touch with her. And so began a stint on stage that has rippled into performances across the globe — almost 150 this year — and in front of new audiences, such as theatre-buffs in China. But then, who is the real Piaf? Giggles abound when you ask the artists this question; the answer, however, remains the same: only Edith Piaf is Edith Piaf. “The people [tell me] often that I [sound] like Edith Piaf — I [tell] them, I am not Piaf, [she] is unique. Listen [to] Edith Piaf and just after listen [to] my voice and you will hear the difference. But I give my soul and my heart when I sing the songs of Edit Piaf,” says Carrere. It’s raw emotion that sears in the lessons sung by Piaf. The video clips from her life add to the magic. You don’t need to know the words — just be human and keep an open ear. Tickets to ‘Piaf! Le Spectacle’, which runs on February 14-15 at Dubai Opera, start at Dh200.